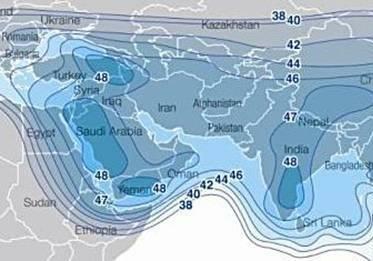 iDirect services, both dedicated and shared are offered on the ABS-1 satellite Ku band beam coverage extending from Cairo eastwards. Countries covered include Turkey, Egypt, Saudi Arabia, Syria, Iraq, Iran, Afghanistan and Pakistan. 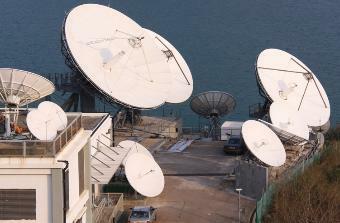 Hong Kong located Teleport Hub using iDirect VSAT technology. With its Hong Kong-located Hub built on award-winning iDirect technology, the network offers premium space segment capacity with unrivalled RF and IP availability, providing military-grade VSAT connectivity to the Middle East and beyond. The Auriga Network is designed for Broadcast, Corporate and Critical IP Communications applications. Auriga customers include major International News Agencies, National and International Military Agencies, Aid Agencies, Oil, Gas & Utilities Companies and Multinational Corporations. Supported applications include MPEG-4 Broadcast, VPNs (no separate accelerator required), VoIP to PBX Level, CCTV Footage Transmission for Unmanned Guard, and all TCP Suite applications including email and web-browsing. Shared-Access Data Packages, Dedicated 1:1 Video / VoIP PBX Packages, and Occasional-Use Dedicated IP Uplinks for Broadcast are available. 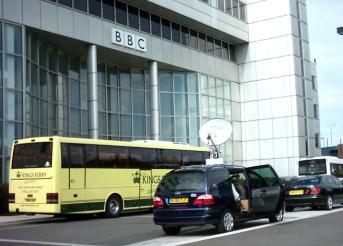 Vehicle mounted iDirect VSAT antenna for news gathering and similar event applications. The content and images on this Middle East satellite networks page are based on information provided by Auriga Networks and are reproduced with their permission. This is not a paid for advertisement.